Malaysia Airlines flight 17 crashed on July 17, 2014 in the Eastern Ukraine. That is an area in which Russian separatists have been fighting Ukrainian government authorities. Speculation ever since has been that it was shot down by a surface-to-air missile of some kind, most likely by the separatists. Another theory is that whoever shot the missile thought that it was a plane carrying Vladimir Putin, who indeed was aboard another flight that day. The Dutch Safety Board has been running the investigation because most of the 298 passengers on board were of Dutch nationality. It has concluded that a missile shot down the plane. It has released an animation of the crash that assumes a “path of the missile” that it is assumed downed the plane. It is important to remember that this is all hypothetical, and just because there is a very smooth animation, does not make it fact. Basically, there are three versions to this incident: the Ukrainian version, the Russian version, and this version. According to the report, a Buk surface-to-air missile exploded less than a meter from the cockpit of the Malaysian Airlines flight. That killed the crew instantly. The front of the plane then broke off, and the rest of the plane had no chance. 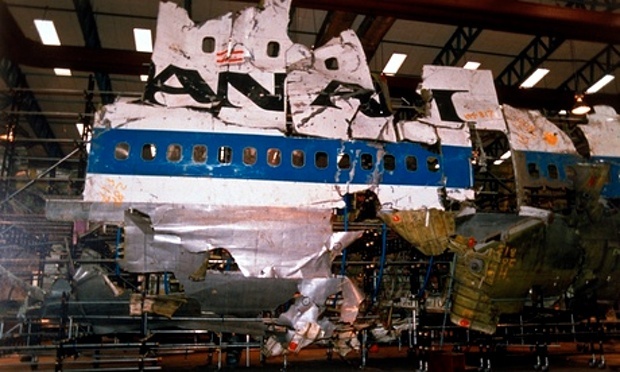 While there is broad agreement about some aspects of the incident, some details of the investigation are disputed. The official probe into the crash has found that the crash could have been avoided. The airspace should have been closed due to the danger in the area. The report did not conclude who fired the missile, which is of great political significance and unknowable from the wreckage alone. Instead, it only examined what actually happened, and where. It identified a 320-square kilometer area where the assumed missile launch most likely took place. That area, according to many sources, was under rebel separatist (i.e., Russian) control at the time of the crash, but that is disputed. Additionally, the report contends that the missile most likely was launched from a particular village named Zaroshchenskoe. The Russians dispute only part of this. They claim that that village was under Ukrainian government control at the time, not Russian separatist. In July, Russia vetoed a UN security council resolution to establish an international criminal tribunal to investigate the airliner’s destruction. They called it politically motivated.